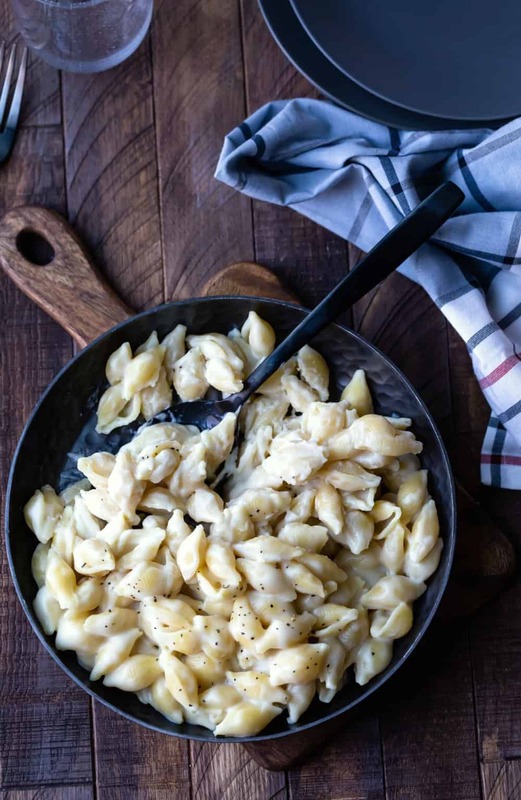 Homemade mac and cheese recipe is a stovetop dinner recipe that makes the best macaroni and cheese! Easy comfort food that can be ready in under 30 minutes! 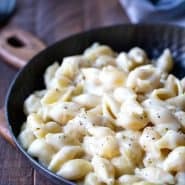 Homemade mac and cheese was a staple in my house when I was growing up, and now it’s one of my kids’ favorite dinners. It’s cheesy, creamy, and just total comfort food. 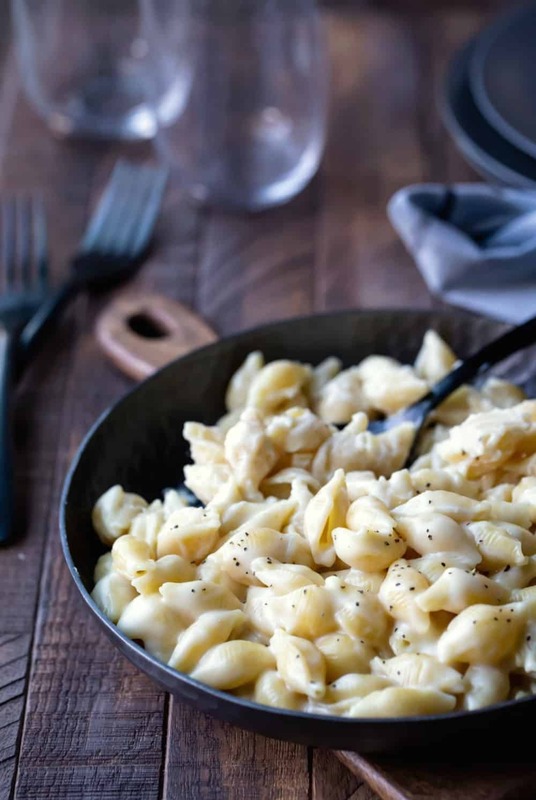 I keep everything I need to make macaroni and cheese on-hand because it makes an easy dinner that I can toss together in less than 30 minutes. Homemade mac and cheese starts with equal parts butter and flour that are cooked to form a roux. Dry mustard, salt, and pepper are then added for flavor. Milk is then whisked in, and the sauce is cooked until it has just thickened. It should coat the back of a spoon once it’s ready. The sauce is then removed from heat, and the cheese is stirred in until melted and combined. 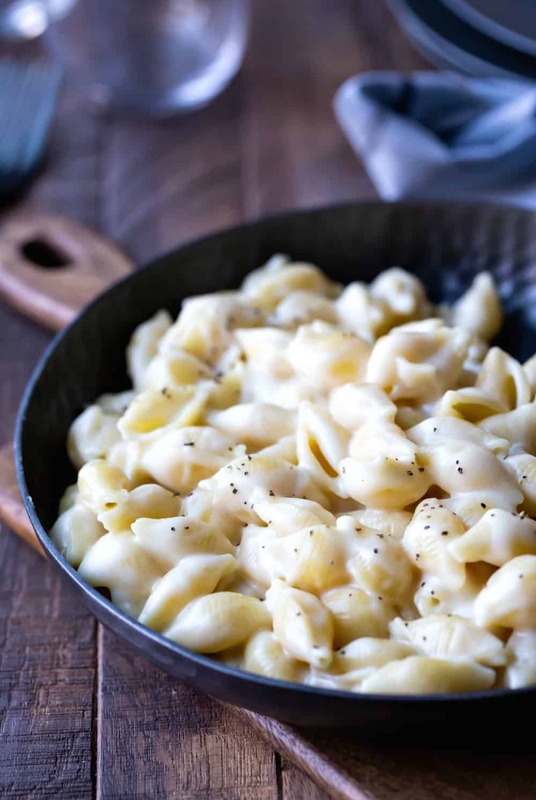 Aside from classic elbow macaroni, there are several other pastas that are a good choice for mac and cheese. The best choices are pastas that have shape and/or texture (not spaghetti noodles). 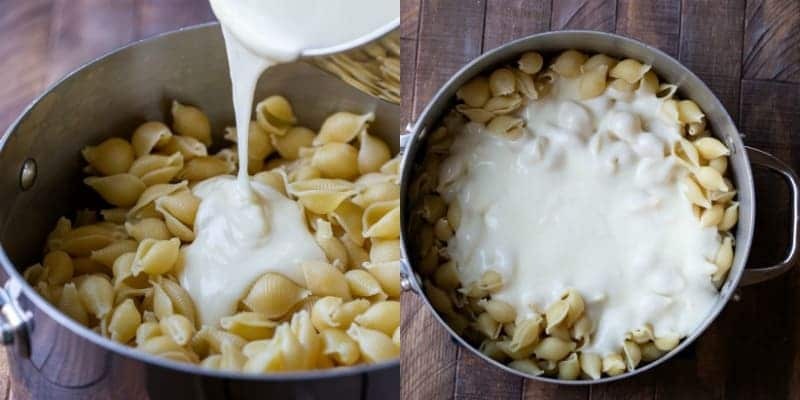 Large shell pasta is one of my favorites because the shape is perfect to catch all the cheese sauce. Rotini, cavatappi, and gemelli are all good choices. I recommend using a block cheese for this recipe. Some shredded cheeses have anti-caking agents that interfere with melting. Sharp cheddar and white cheddar are both good choices. Both pack a lot of flavor and melt well. Another option is to combine more than one type of cheese. Fontina, gruyère, and parmesan are all great choices that pair well with other cheese. 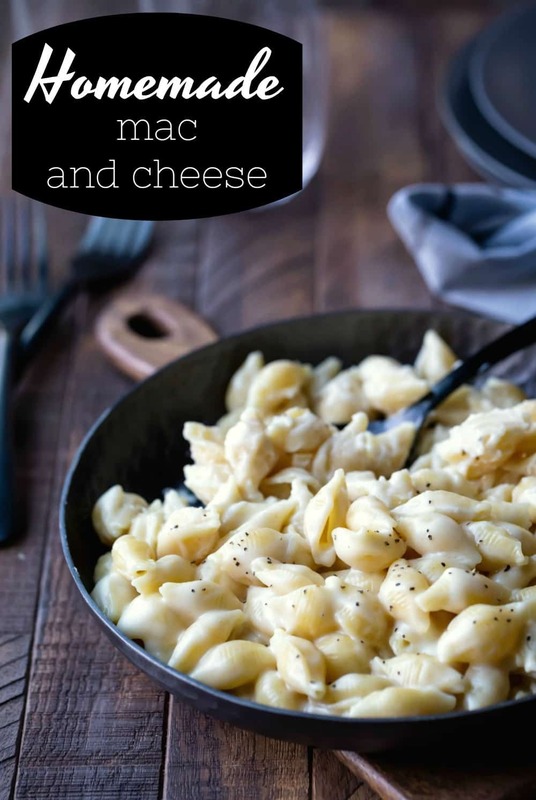 If you’ve tried this homemade mac and cheese recipe, don’t forget to rate the recipe and leave me a comment below. I love to hear from people who’ve made my recipes! You can SUBSCRIBE to receive my latest recipe newsletters or FOLLOW ME on FACEBOOK, INSTAGRAM and PINTEREST for even more delicious food. In medium saucepan, melt butter over medium-low heat; stir in flour, and cook for 3-5 minutes stirring constantly to form a roux. Add salt and pepper, and whisk in to combine. Slowly whisk in milk, and whisk until well-combined. Cook, whisking regularly, until thickened. You don't want mixture to boil. Remove from heat, and stir in cheese a little at a time until fully melted and combined. Return macaroni to pot, and pour cheese sauce over the top. Toss to combine. *I've used everything from skim to whole milk. The more fat in the milk, the creamier the sauce. **I suggest using a good-quality block of cheese rather than a shredded cheese. Some shredded cheese have anti-caking agents that can prevent melting. OMG!! So much better than the stuff in the box! I will make this again and again.